and, of course, your “Catributor” name on our website. your “Catributor” name on our website. 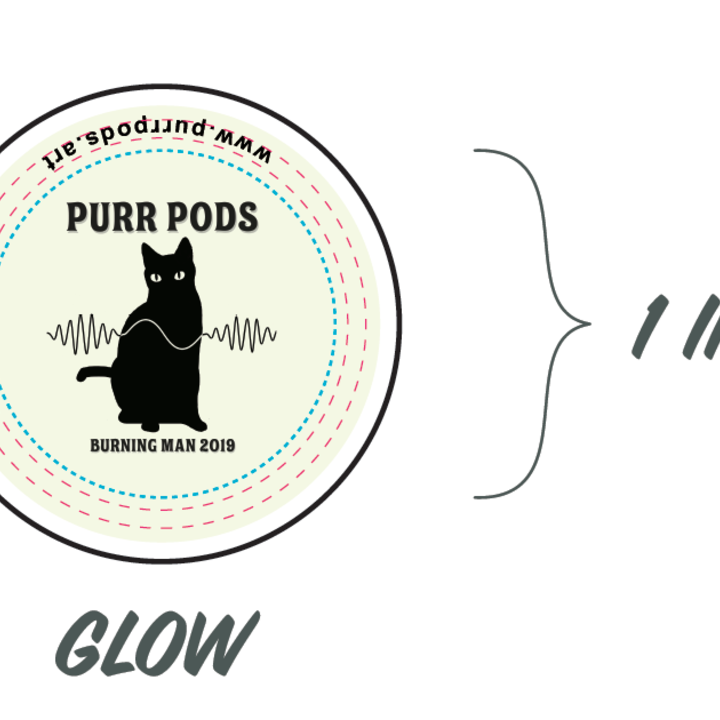 Two 1” glow-in-the-dark Purr Pods buttons. And don’t forget that “Catributor” thanks. You get one 3” black and white (with glow-in-the-dark eyes!) 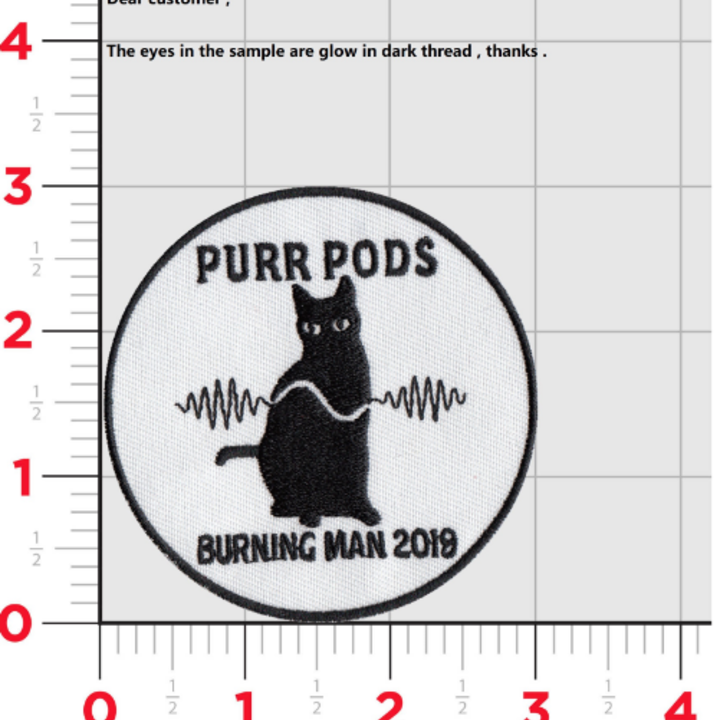 embroidered patch, one 2” glow-in-the-dark vinyl sticker and one 1" glow-in-the-dark button. And, of course, your “Catributor” name on our website. That’s right! Two Catastics AND two Mews to Me! perks! 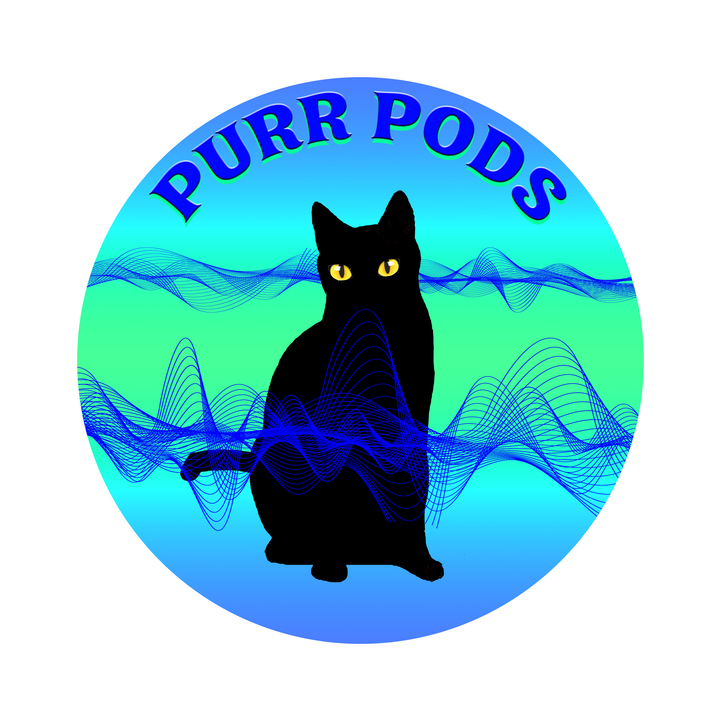 Four Purr Pods glow-in-the-dark stickers and four glow-in-the dark buttons plus a “Catributor” listing on our website. 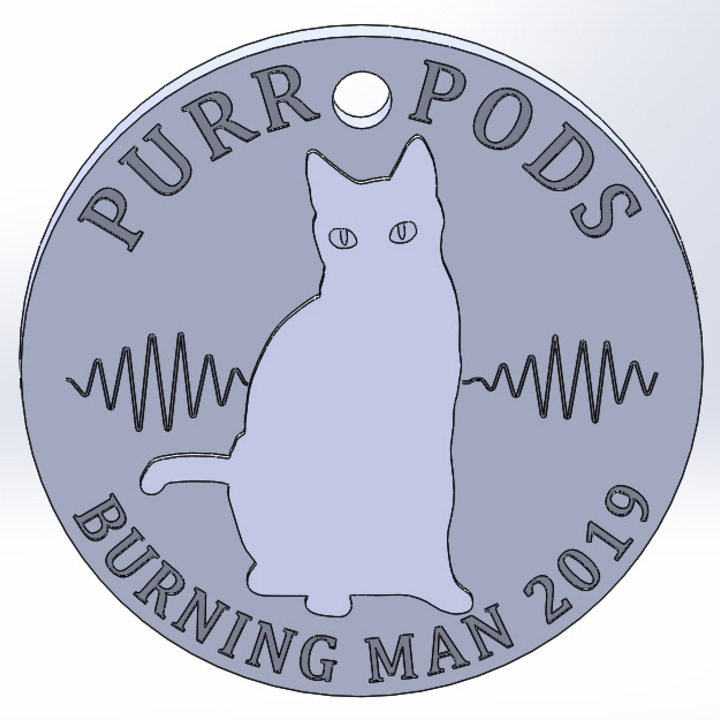 Get lucky with this very special, solid brass, double-sided, ready-to-wear Purr Pods medallion. 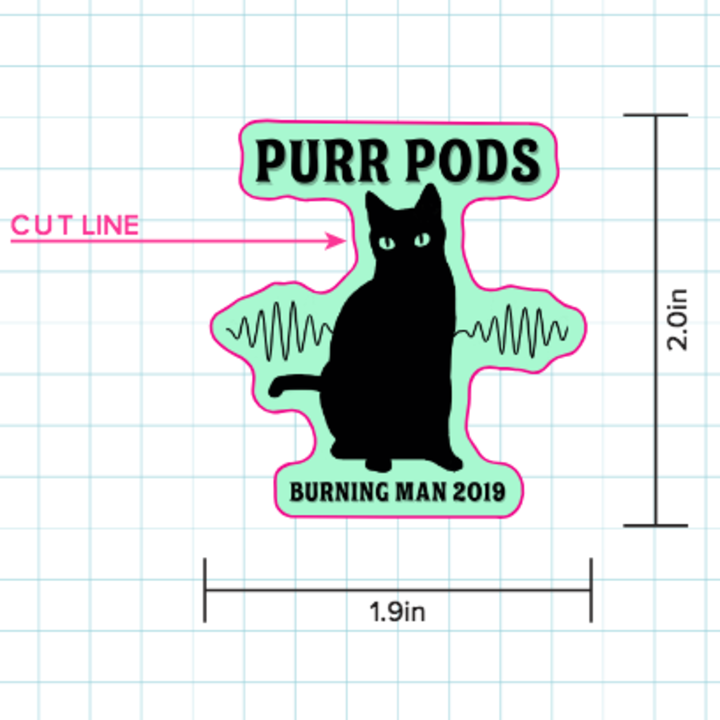 In addition, you get an embroidered patch, two Purr Pods stickers and two glow-in-the-dark buttons and your name on our “Catributors” page! two embroidered patches (with glow-in-the-dark eyes!) and some serious “Catributor” acknowledgement added to the mix. Thank you for supporting our dreams of creating this art installation to share on the playa. In addition to the Claws for Celebration above, you’ll receive a purrsonalized thank you video jettisoned like a fur ball straight to your computer. 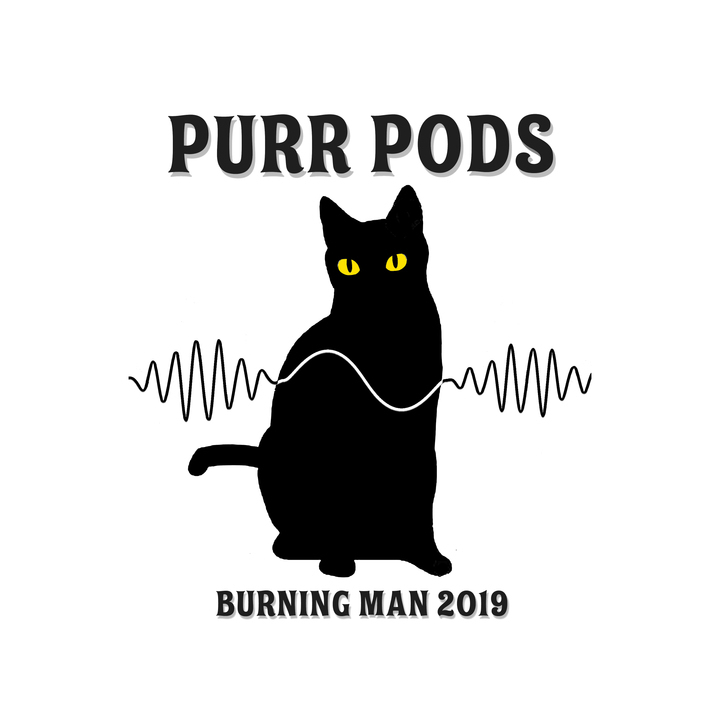 Experience the healing power of the purr. 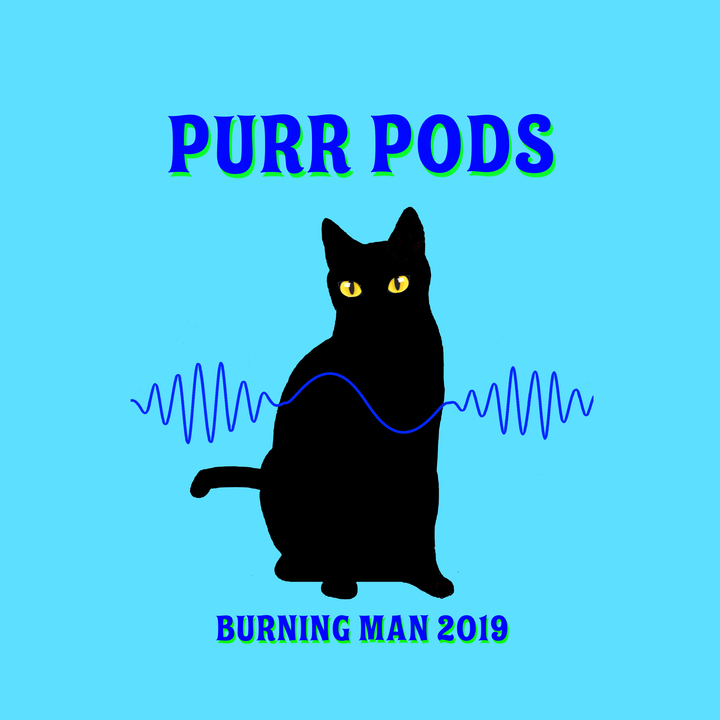 Feline forms gaze with Laser Eyes of Love and envelop participants in sonic vibrations. 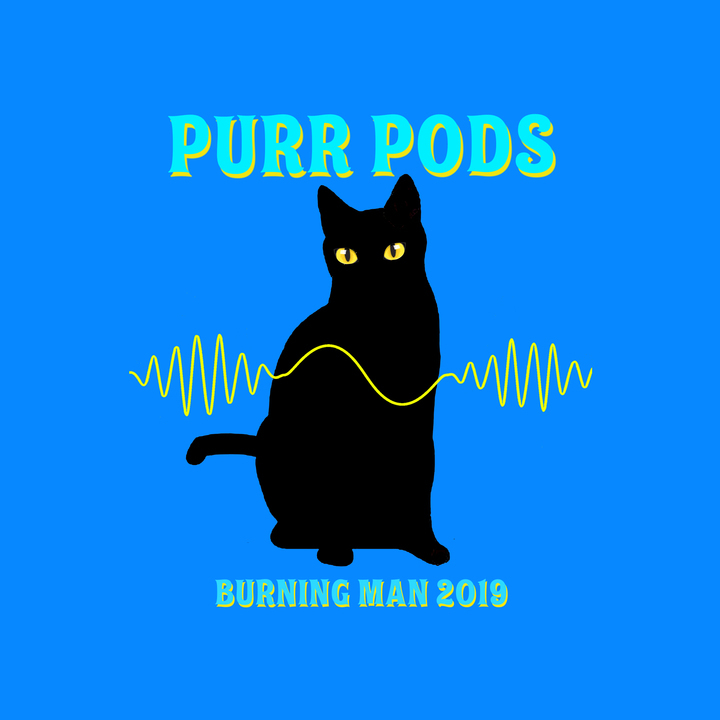 Snuggle down into the cozy bellies of the Purr Pods and be revived.